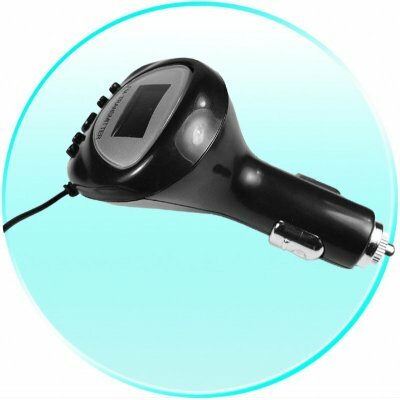 Successfully Added Car MP3 FM Transmitter - PMP Accessory to your Shopping Cart. FM Transmitter for use in Cars, and will connect and transmit songs from any MP3/4 player with a 3.5mm earphone jack. With this MP3/4 Car Transmitter, plug in the PMP, choose the frequency that you want to send the music on, and tune into the same frequency with your Cars FM Tuner. Plus, being able to transmit anywhere from 88.0 to 108.0Mhz means that there are 200 frequency points for you to choose from, adn you can easily see which frequency you are currently on with the LCD Display. A very low price accessory for you to get great sound out of your MP3/4 Player from our Cars own Sound System..